banjira 49 Inch Sitar 18 String + Extra String Set & Gig Bag Maroon. 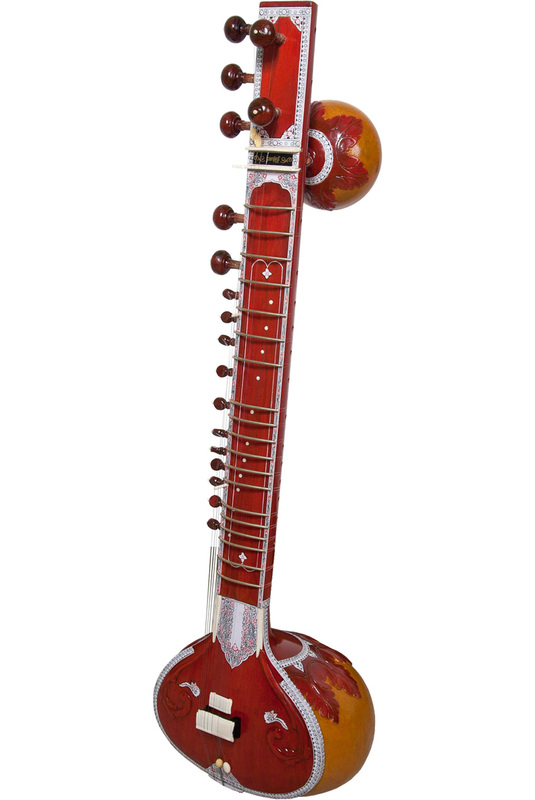 banjira Standard Sitar with Economy Gig Bag Maroon STRSE-M. Standard decorations, double toomba, 5 main, 2 chikari and 11 sympathetic strings. Includes extra string set, mizrab, information tuning guide Book or CD-Rom as stock allows, and nylon gig bag. The upper toomba must be removed before placing the sitar in the nylon gig bag. Decorations and colors will vary. These are all individually made and will be unique.